Amanda Wagner, Heal the Bay’s watershed research fellow, recently attended Gov. 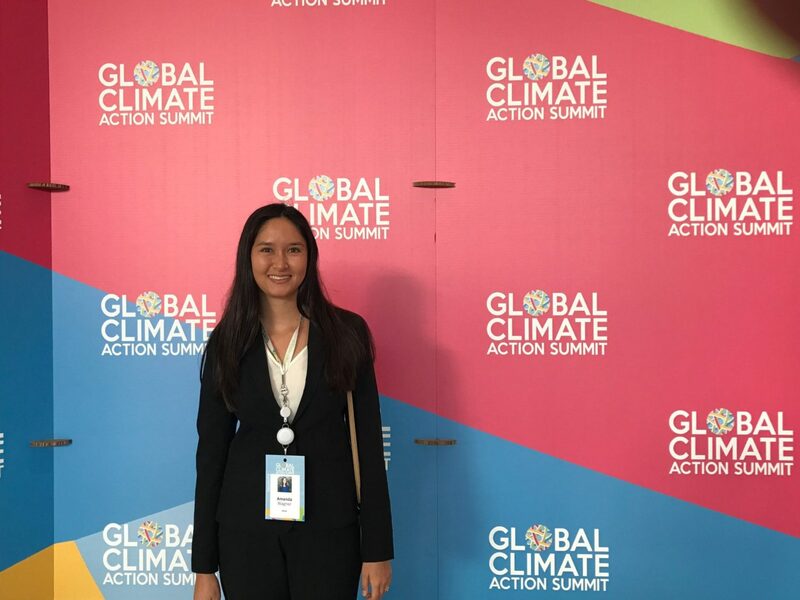 Brown’s Global Climate Action Summit 2018 as an official youth delegate from UCLA. Despite negative headlines about climate, she left feeling enthusiastic. The Global Climate Action Summit, recently held in San Francisco by California Gov. Jerry Brown, brought together NGOs, governments, and private companies from all over the world to talk about climate change and potential solutions. The event inspired me, especially at a time when climate change disasters seem to be making headlines every day and there seems a lack in leadership in Washington D.C. to address these challenges head on. A majority of the summit consisted of politicians and CEOs announcing their commitment to a low-carbon future. But several sidebar events focused on narrower themes. Most excitingly, the Ocean-Climate Action Agenda became a key summit challenge. In the context of climate change, oceans are crucial for maintaining a stable climate. They absorb carbon dioxide from the atmosphere and provide oxygen in return. 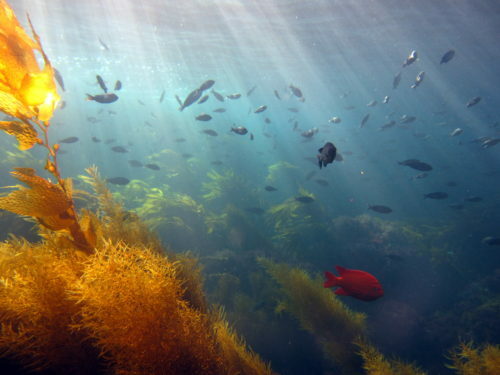 Maintaining a healthy ocean will be key to curbing climate change. Unfortunately, climate change is already negatively impacting the ocean by acidifying and warming the waters. Here in Southern California we’ve already made headlines this year with record-breaking temperatures. Our oceans are also acidifying, creating hostile and deadly conditions for many marine organisms. Other negative impacts such as over-fishing and pollution further strain the ocean. The Ocean-Climate Agenda focuses on the ocean as part of the solution to climate change, rather than a victim. Fortunately, “the ocean is resilient, and it can recover if we help,” Julie Packard, executive director of the Monterey Bay Aquarium, pointed out during her talk. A number of politicians and researchers, including Washington Gov. Jay Inslee, former U.S. Secretary of State John Kerry, former NOAA Administrator Dr. Jane Lubchenco, and the Prime Minister of Fiji Frank Bainimarama spoke with great optimism and urgency about the ocean. Among the most pressing recommendations: creating more Marine Protected Areas and investing in fishery reform. These two efforts can dramatically increase ocean resiliency and allow the sea to absorb more carbon. Dr. Lubchenco called strongly for more protected areas of the ocean, citing the UN’s initiative to protect 30% of the world’s oceans by 2030. Currently only about 4% of the world’s oceans are protected compared to the 15% of land that is protected. Heal the Bay played a crucial role in establishing Southern California MPAs and we continue to monitor them through our MPA Watch program. 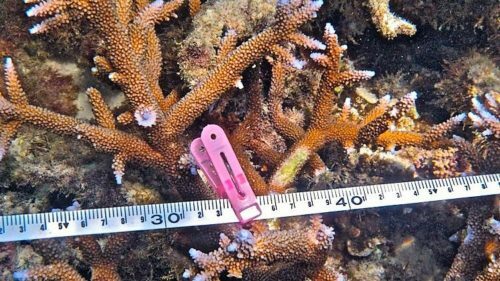 We love MPAs and know first-hand the great benefits they can provide to both the environment and the public. Protecting the oceans can help to capture and store more carbon, increase genetic diversity and create save havens for fish. They protect coastal ecosystems, which capture and store additional carbon from the atmosphere. At the end of the ocean specific sessions, speakers offered up business-oriented solutions to the ocean climate crisis. Daniela Fernandez, founder and CEO of the Sustainable Ocean Alliance, highlighted her Ocean Accelerator program. The eight-week program brings together start-ups, investors, and mentors to develop innovative ocean solutions using technology. Coral Vita introduced its unique for-profit business model of growing resilient, diverse coral on land-based farms for transplant into coastal regions. Rev-Ocean announced that in 2020 it will launch the largest research vessel on the sea. The ship will serve as a floating think tank for researchers and help improve collaboration and knowledge of sustainable solutions for protecting the ocean. I am encouraged by the work we are doing in California and at Heal the Bay to protect our oceans. We must continue to protect them and increase the amount of ocean under protection. Creating more protected areas will help the ocean recover and become a partner with us in the fight against climate change. The summit showed progress can be made when smart people – from all sectors of public life – are committed to working together toward a common goal. Summer 2017 beach water quality grades are in. Heal the Bay’s Science Policy and Programs team report the latest findings, and encourage you to visit the California coast this fall. Most of us might think that the hot days of summer beach-going season are over after Labor Day Weekend. However, many local Angelenos and tourists know that some of the best days for ocean lovers are from September through October. Less people, easier parking, tepid water temperatures, and great weather, all make for a solid outing. 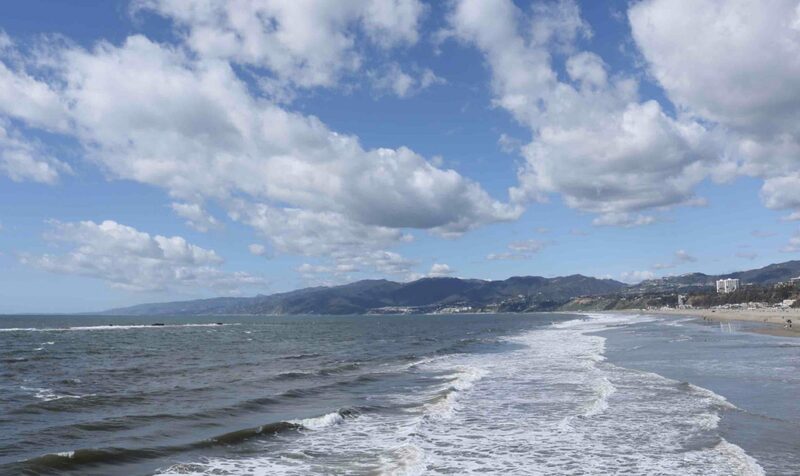 In addition, the water quality this past summer has been fantastic at almost all beaches throughout California. Despite all the rain in the Golden State earlier in the year, 96% of beaches (out of 400 sites) earned an A or B grade. 18 sites (4%) received a grade of C or lower, including 8 sites earning an F.
Find out more detailed water quality information about your favorite beach: download Heal the Bay’s Summer 2017 Beach Report Card for California. As a reminder, you can always visit Heal the Bay’s Beach Report Card website (or get your grades on-the-go and install the Beach Report Card app for iPhone and Android) to get the latest information on all California beach conditions throughout the year. (We publish the Beach Report Card on a weekly basis for the whole year, so can stay informed if you plan on swimming in the ocean beyond October). Why Are There Still Plastic Bags at the Grocery Store? Dec. 8, 2016 — Way back in the old days (before Nov. 8, that is) your trip to a grocery store in California frequently ended with two options: paper or plastic. Since then, voters across the state passed Proposition 67, and California became the first state in the nation to ban single-use plastic bags. Now you are faced with two new options at the grocery store: paper or reusable. 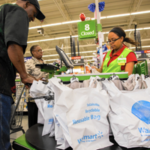 But wait … why does it look like grocery stores are still offering plastic bags? And why are you getting charged for taking bags? What does this new era of grocery shopping mean? Have no fear! We’ve compiled a Prop 67 sheet to address all of your questions about the bill and what will happen at the checkout stand going forward. Why are some grocery stores still offering plastic bags at the checkout? These reusable bags can be made of plastic, so yes, they can still pose a threat to ocean animals. While this bill is not perfect (no bill can be passed without some compromise! ), getting rid of all those flimsy one-use bags will still have incredible positive impacts on California’s waste stream and environment. We’ve already seen significant reduction in the amount of plastic bags in cities that had their own bag bans in place before Prop 67 passed. In the one year since its bag ban was enacted, the city of San Jose saw a 76% reduction in creek and river litter, a 59% drop in park and roadside plastic bag litter, and a 69% reduction in plastic bag litter in storm drains. This shows how just a simple change in consumer behavior can have a significant impact on the environment. Millions of Californians in the more than 150 cities and counties that already had their own bag bans have proved that it’s easy and effective. What does the law say about paper bags? The law states that paper grocery bags must contain a minimum of 40% post-consumer recycled materials. Smaller paper bags, like the ones you would typically find in the produce or deli sections, must contain a minimum of 20% post-consumer recycled materials. Many stores are offering paper bags that are made out of 100% post-consumer recycled materials, which is a good thing. However, there are still environmental consequences from the production and distribution of paper bags. Though Proposition 67 banned single-use plastic bags, the bag ban has also caused a dramatic decrease of paper bags used across the state. Because shoppers are bringing reusable bags with them to the grocery store, the use of paper bags in Los Angeles dropped by about 40% since its bag ban went into effect. So bring your own durable reusable bag with you. When the checkout clerk asks you if you want paper or reusable plastic, you already have your answer – neither! How much can I be charged for a paper or reusable bag? According to the law, a grocery store must charge at least 10 cents for a paper or reusable grocery bag. This was put in the bill to ensure that the cost of providing a reusable grocery bag is not subsidized by a customer who does not need that bag. However, stores can charge more than 10 cents for a bag if they want to, just as they can set the price point for any other good sold. 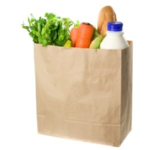 Participants in WIC or CalFresh (SNAP) using a voucher or EBT card are exempt from the bag fee and reusable or paper bags must be offered to these customers free of charge. I heard people opposing Prop 67 say that the grocery stores are being greedy and are making a profit by charging us for bags. Is that true? 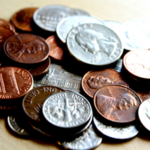 Costs associated with complying with the law. Actual costs of providing recycled paper bags or reusable grocery bags. Costs associated with a store’s educational materials or educational campaign encouraging the use of reusable grocery bags. Are plastic produce bags still allowed? Are we being charged for them? Yes – plastic produce bags, meat bags, and bread bags are exempt from this law. While the law does not require that a store charges for the sale of these bags, the store can if it wants to, just as it can set the price for any good it sells. It seems that most stores are continuing with business as usual, which means that the cost of the bags are lumped in with other operational costs that are absorbed in the price of the goods you buy. What types of stores are included in the ban? What types of stores are exempt? What should I do with all of the plastic bags I’ve saved under my kitchen sink? With the New Year approaching, now is a great time to set your resolution to free yourself of single-use plastic! The best thing to do is recycle the single-use plastic bags you have. 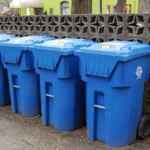 Did you know that in the City of Los Angeles, you can put them straight into your blue curbside recycling bin? We recommend you bundle them all together in one bag to reduce the chances of them flying away in transport and becoming pollution. If you don’t live in L.A., check with your city about what is and is not accepted in your curbside recycling program. You can also check out Earth911 to search for recycling facilities near you. Most grocery stores collect plastic bags for recycling as well. Want to nerd out and read all of the policy language written into the bill? We did! You can read the bag ban’s official text on the California Legislature’s website. While California waits for the last 3 million mail-in votes to be counted, it is projected by a number of influential media outlets that Proposition 67 will PASS! Once the Secretary of State declares the results official, the plastic bag ban will go into effect immediately. This makes California the first state to pass a comprehensive ban on single use plastic bags. As the nation looks to California as a progressive environmental leader, we hope that our hard-fought, grassroots-led victory inspires other states to enact a bag ban of their own. We’re grateful for the passionate, powerful coalition of environmental groups, community leaders, and dedicated volunteers, without whom this victory simply wouldn’t have been possible. For the latest Prop 67 results coverage, check out the Sacramento Bee and New York Times. Nov. 9, 2016 — Tova Handelman, Heal the Bay’s Coastal Resources Coordinator, dives into the election results and finds some treasures worth celebrating. So much has happened in the last 24 hours. The dust has yet to settle from the presidential and state elections. Through the haze, it can be hard to see the long, grueling path that led us here. Even more uncertain is what the road ahead looks like for the country, and its environmental progress. Well before the primaries and up until yesterday, Heal the Bay – alongside our incredible partner organizations, and fueled by dedicated members like you – led efforts to enact some real environmental change locally and across California during this election season. We advocated for several propositions and city measures before, and are truly proud to see the results of our efforts this time. This campaign season has given us a lot of firsts–some good and some downright puzzling. But we are proud to say that this is the first time we’ve seen such across-the-board success for the environmental measures we worked so hard to endorse. A big victory with a huge margin, Measure A passed with 73.5% of the Los Angeles vote. This means that an annual parcel tax of 1.5 cents per square foot of development will generate approximately $94 million per year. This money will go directly to local communities to protect, enhance, and maintain our local parks, beaches, and open spaces. Sick and tired of traffic and its effect on air quality in Los Angeles? You’re not alone: Measure M passed overwhelmingly with nearly 70% of the vote – well over the two-thirds share it needed to pass. Measure M adds a half-cent sales tax and extends the existing half-cent increase passed in 2008 with Measure R. This tax will generate $120 billion over 40 years to fund major extensions to subway lines, including a line under the Sepulveda Pass to connect the San Fernando Valley to West Los Angeles. 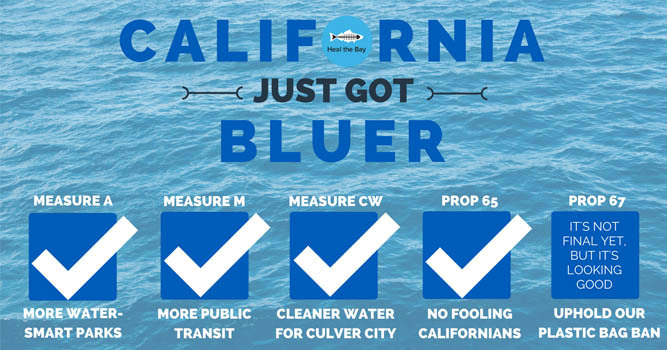 Residents of Culver City voted to create a dedicated funding source in the form of a parcel tax to pay for water quality programs that will prevent pollution in our waterways, beaches, and the Ballona Creek Estuary. The tax is expected to generate $2 million per year, and all money will be used in Culver City to reduce water pollution. This will ultimately help to improve water quality in Santa Monica Bay! Try as they might, the plastic bag manufacturing companies behind Prop 65 couldn’t trick us into undoing California’s plastic bag ban. 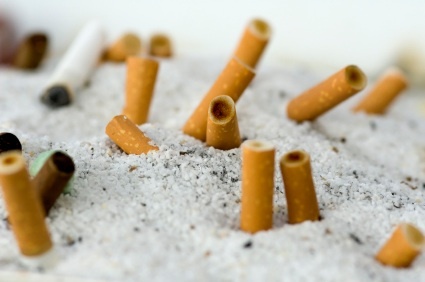 This proposition was intentionally vague to confuse voters by thinking they were voting for an environmental fund, when the fine print actually said the bag ban would be overturned should Prop 65 pass. Thanks to our tireless volunteers and incredible efforts from partner organizations, we were able to get the word out and educate voters on the issue. Looks like Californians do their homework, because we are now one step closer to banning plastic bags from grocery stores statewide. Proposition 67: NOT FINAL YET, BUT IT’S LOOKING GOOD! 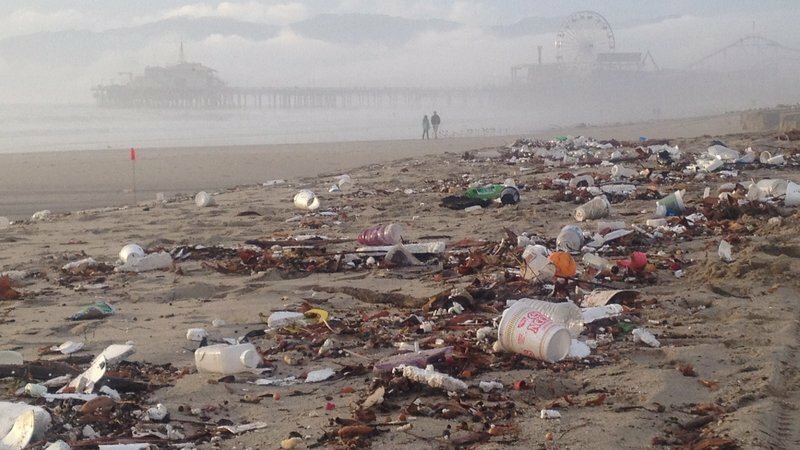 Heal the Bay has been working for years to eliminate plastic pollution from our waterways and beaches. Two years ago, we rejoiced when SB270 passed, making California the first state to ban plastic grocery bags. The plastic bag manufacturers didn’t take the news well, however, and spent over $6 million to get the bill back on the ballot as a referendum in the form of Prop 67. Our volunteers spent long days at tabling events and long nights phone banking to encourage voters to uphold our statewide plastic bag ban, and it seems like their efforts paid off. The polls are too close to call just yet, but the projections are promising. Once the final verdict is called, the plastic bag ban will go into effect immediately at grocery stores, pharmacies, and liquor stores across the state. Paper bags will still be available for 10 cents. Over 660 ocean species have been found to ingest or become entangled in plastic pollution, so a statewide ban is a HUGE victory for the environment–and ocean animals. Though it is unclear what will play out nationally, there is one thing you can certainly count on: Heal the Bay will continue to fight to protect what you love. 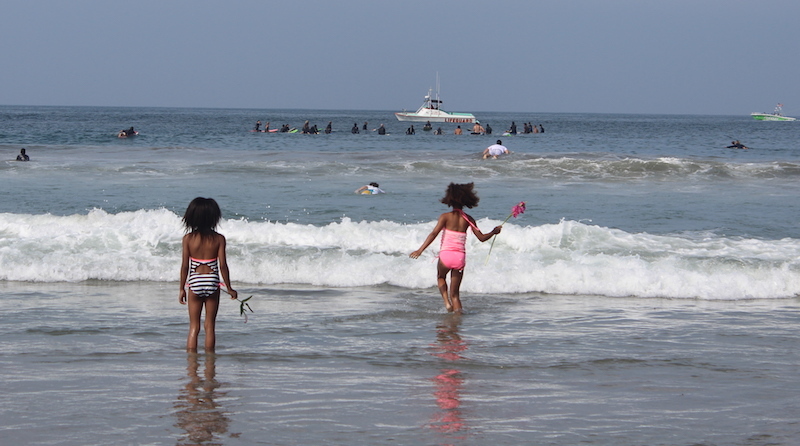 Supported by thousands of ocean-loving Angelenos and guided by sound science, we will press on to advance local, regional, and statewide environmental policies and educate the next generation of ocean advocates. Thanks to you, we won so much yesterday. And with your help, we will continue fighting, stronger than ever, for a cleaner, healthier, bluer Los Angeles.